For years, neuroscientists have puzzled over how two abnormal proteins, called amyloid and tau, accumulate in the brain and damage it to cause Alzheimer’s disease (AD). Which one is the driving force behind dementia? The answer: both of them, according to a new study by researchers at the Douglas Mental Health University Institute. “We specifically found that both proteins mutually enhance their individual toxic effects and cause a brain dysfunction considered to be a signature of AD. This finding challenges previous polarized theories that a single protein abnormality was the major driving force of disease progression,” explains Dr. Rosa-Neto, whose team is part of the CIUSSS de l’Ouest-de-l’Île-de-Montréal research network. This research also points toward new therapeutic strategies to mitigate the progression of AD. Image adapted from the McGill press release. “Until now, therapeutic clinical trials have targeted a single pathological process. Our result paves the way for new therapeutic strategies for prevention or stabilization of AD. For example, combination therapies should be used simultaneously against both amyloid and tau protein accumulation”, says Dr. Tharick A. Pascoal, lead author of the study. Rosa-Neto’s team analyzed the performances of 120 cognitively intact individuals over two years (equal gender distribution; average age 75). 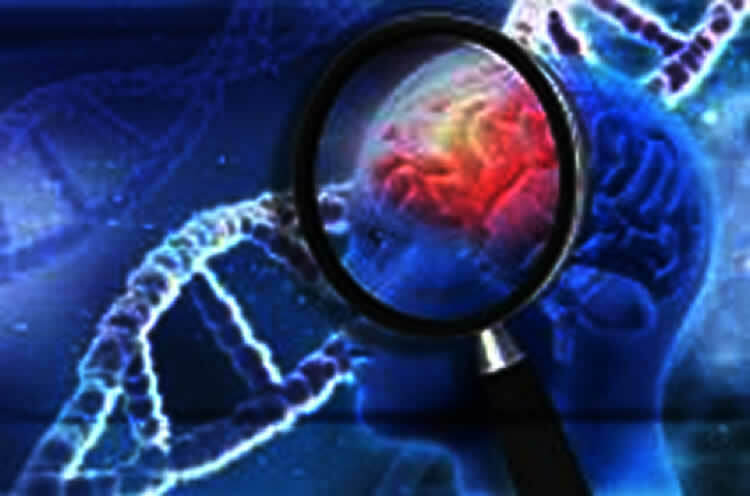 By measuring amyloid levels using PET scans and tau proteins through cerebrospinal fluid analysis, the researchers were able to identify the patients at risk of brain damage associated with AD. According to the World Health Organization, Alzheimer’s disease is the most common cause of dementia, affecting more than 30 million people worldwide in 2015. In 2011, 747 000 Canadians were living with Alzheimer’s disease and other forms of dementia, and the combined direct (medical) and indirect (lost earnings) costs of dementia amounted to $33 billion (Alzheimer Society of Canada). Funding: This work was funded by the Canadian Institutes of Health Research, the Alan Tiffin Foundation and the Alzheimer’s Association. Individuals evaluated in this study were part of the Alzheimer’s disease neuroimaging initiative study. Image Source: The imageis adapted from the McGill press release. This study was designed to test the interaction between amyloid-β and tau proteins as a determinant of metabolic decline in preclinical Alzheimer’s disease (AD). We assessed 120 cognitively normal individuals with [18F]florbetapir positron emission tomography (PET) and cerebrospinal fluid (CSF) measurements at baseline, as well as [18F]fluorodeoxyglucose ([18F]FDG) PET at baseline and at 24 months. A voxel-based interaction model was built to test the associations between continuous measurements of CSF biomarkers, [18F]florbetapir and [18F]FDG standardized uptake value ratios (SUVR). We found that the synergistic interaction between [18F]florbetapir SUVR and CSF phosphorylated tau (p-tau) measurements, rather than the sum of their independent effects, was associated with a 24-month metabolic decline in basal and mesial temporal, orbitofrontal, and anterior and posterior cingulate cortices (P<0.001). In contrast, interactions using CSF amyloid-β1–42 and total tau biomarkers did not associate with metabolic decline over a time frame of 24 months. The interaction found in this study further support the framework that amyloid-β and hyperphosphorylated tau aggregates synergistically interact to cause downstream AD neurodegeneration. In fact, the regions displaying the metabolic decline reported here were confined to brain networks affected early by amyloid-β plaques and neurofibrillary tangles. Preventive clinical trials may benefit from using a combination of amyloid-β PET and p-tau biomarkers to enrich study populations of cognitively normal subjects with a high probability of disease progression in studies, using [18F]FDG as a biomarker of efficacy.